Of all the early Church leaders, why haven't I been drawing more pictures of Sidney Rigdon? He's got a face cartoonists love! I even drew him as the guy who doesn't know what to do with his hands, because don't tell me that isn't him. Of course no one snaps my picture before heading off to work these days. If they did, I might look like this guy. 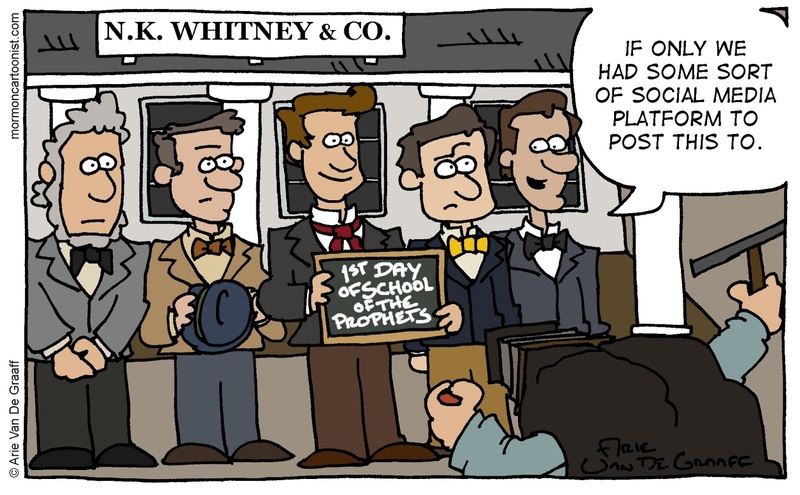 The school of the prophets was started on January 23, 1833 at Newel K. Whitney's store. 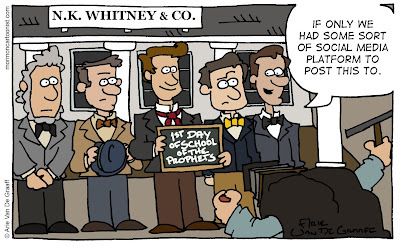 It included instruction from early Mormon scholar Orson Hyde (he's the guy to the right of Joseph Smith in the comic above--also fun to draw). Most famously, out of it came the Word of Wisdom.